Mumbai can save 150 per cent more water by drinking tea without sugar for a day than can be saved by banning a season of Indian Premier League (IPL) - India’s professional cricket tournament - matches in three Maharashtra stadia, our calculations reveal. The Bombay high court suggested that the Board of Control for Cricket in India (BCCI) reconsider its decision to hold IPL matches in Maharashtra because of a widespread drought (read IndiaSpend drought reports here, here and here), but refused to stay the first match to be played at the Wankhede stadium in Mumbai on Friday. Maharashtra’s three stadia–at Mumbai, Pune and Nagpur–would use 6 million litres of water for the twenty matches, according to the petitioner, an advocacy called the Loksatta Movement. 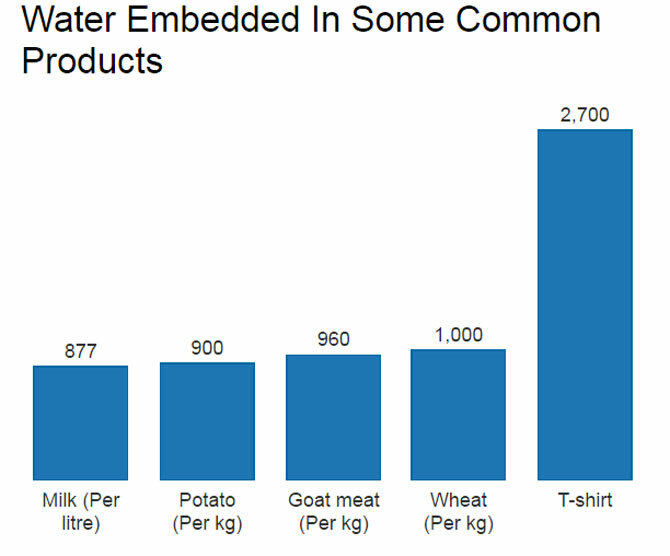 While this seems like a lot of water, there are more effective ways of saving water than not watering cricket grounds, if we use the concept of embedded water - the water used in production of a product. 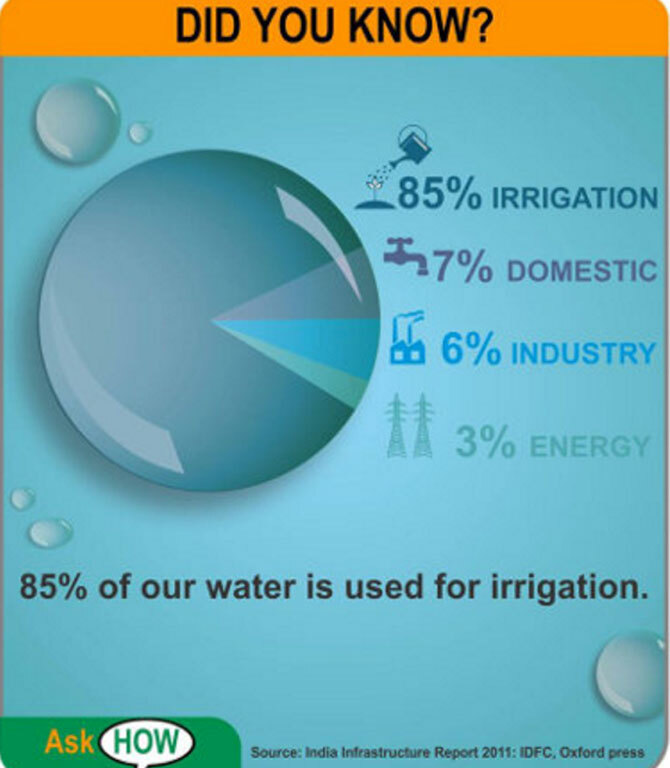 Agriculture consumes almost 85 per cent of water consumed in India, according to India Infrastructure Report 2011. We consume water for drinking, bathing, cooking and even washing cars, but we consume much more water through food. This is because large quantities of water are used to grow and process that food. For example, this estimate by National Geographic says more than 1,500 litres of water are used to produce half a kg of chicken, and nearly 1,000 litres to produce a bottle of wine. “(The real culprit) is the state’s policy that encourages production of the water-guzzling sugarcane,” Sunil Jain wrote in this column in the Financial Express. National Geographic also tells us that more than 1,500 litres of water is used to produce a kg of sugar. Now, even if we assume that approximately 20 per cent of Mumbai’s population, or 2.5 million people, drink a cup of tea every day with a teaspoon of sugar, that comes to nearly 10,000 kg of sugar. This sugar has 15 million litres of water embedded–meaning, it has cost us 15 million litres of water to produce this much sugar. 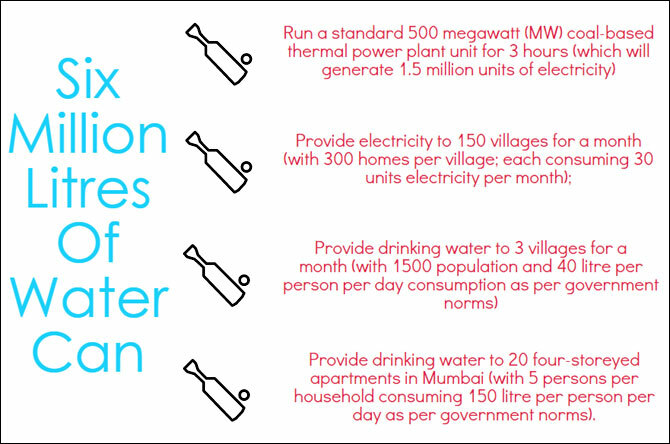 That is 2.5 times the water to be used in the three IPL venues in Maharashtra. Of course, this calculation has many approximations. For one, estimates of how much water is embedded in different foods vary widely, and can be different in different places. For another, we have no way of knowing how many cups of tea (or coffee or cold coffee or milk or aerated drinks) are consumed every day in the city. However, the calculation is an indication that intuition may not serve us well when it comes to issues such as water conservation. One may point out that not consuming sugar for a day will only reduce the demand for sugar infinitesimally, and will most probably not reduce the production of sugar even next year. Obviously, it will not have any impact on the water situation in Marathwada today. But then, so wouldn’t using less water in Wankhede stadium. After all, the water not used in Wankhede would not be transported more than 400 km away to Latur in the crisis-ridden Marathwada region in Maharashtra. The high court probably knows this, but its intention is to focus the attention of people on what is happening to fellow citizens. Focusing on sugar consumption is a much better way of doing that because unlike cricket, growing sugarcane is a significant part of the water problem in large parts of Maharashtra and India. Sugarcane uses a disproportionately high amount of water, this Current Science study explained. Of 650 billion cubic metres (BCM) of water available for irrigation nationwide, 15 per cent, or 100 BCM of water, is used by sugarcane (the crop uses water from reservoirs as well as groundwater), which is planted on no more than 2.5 per cent of India’s farmland, as IndiaSpend recently reported. 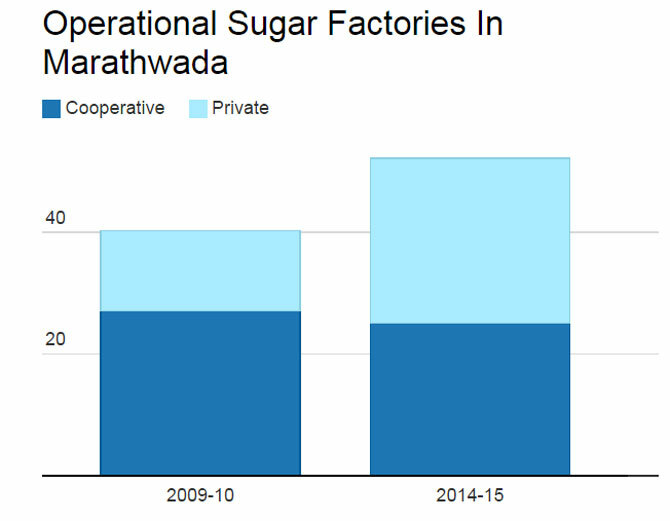 In the Marathwada region, the number of sugar mills has gone up from 40 in 2009-10 to 52 in 2014-15. 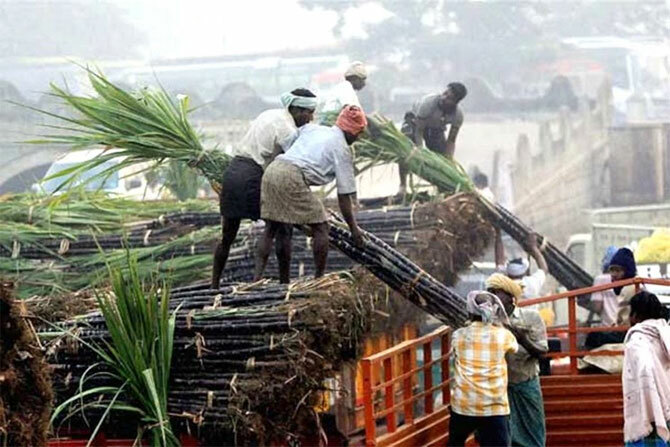 Agriculture and other sectors compete for the same water, and overuse, as with sugarcane, affects Indians in many other ways, such as shortage of drinking water, electricity generation, etc. Enabling farmers to grow alternative crops has to be part of the solution, as many experts have explained.